Kevin Mahoney received his B.A., Ed.M and J.D. all from the State University of New York at Buffalo. 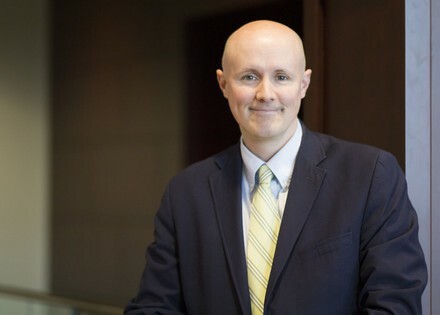 As a member of HoganWillig's Family and Criminal Law Departments, Mr. Mahoney regularly assists individuals who are in a very difficult time of their lives. He believes it is his task to calmly offer skilled advice and perspective during what is often a difficult or emotionally charged situation. In the area of family law, Mr. Mahoney and his colleagues assist individuals with family court proceedings which most commonly involve custody/visitation and/or paternity and support proceedings. They also assist individuals in all aspects of Supreme Court matrimonial proceedings, such as actions for divorce, separation, or those seeking an enforcement of a previously entered judgment or agreement (post divorce issues). Mr. Mahoney is also a member of WNY Collaborative Law Professionals, Ltd. and is trained in collaborative law, a process where the parties and their attorneys agree to work together to problem solve their issues in order to resolve their case by agreement with an express indication at the outset that Court or adversarial negotiation tactics will not be used. He is also trained as a mediator and can work with separating couples by acting as a neutral guiding their discussions and preparing their necessary legal documents ultimately resulting in a comprehensive agreement which may form the terms of a future Judgment of Divorce or other Court Order. Although the majority of cases in the family law arena are resolved by agreement, for those cases where litigation is necessary, our office has in the past and will continue in the future to aggressively bring issues of importance to the attention of the appropriate court in order to bring about appropriate relief. A further subset of our family law work may involve child-protective proceedings, family offense cases, and those involving troubled children such as PINS or juvenile delinquency proceedings. In the criminal law area, Mr. Mahoney has handled numerous cases in local, state, and federal courts. Each case, although different, required a thorough understanding of an individual's background as well as the underlying facts that lead to the charge(s) so that the defense was appropriately presented. Time is spent to investigate these issues and to fully explain various strategies so the client is informed as to the various steps in the case. He also works in our Emergency Services Department which assists various companies and individual fire and ambulance personnel with a wide range of issues from bylaw modification and contract review to internal (company level) and external (e.g. DOH) discipline. Mr. Mahoney is a proud father of two, a former competitive women's coach in the USA Gymnastics Junior Olympic program, an active interior volunteer firefighter and is certified as an Emergency Medical Technician (EMT).